Judith Miller has rendered the executives at Fox News speechless with her recent confession that she knew Deputy Secretary of State Richard Armitage was not the person who leaked Valerie Plame's identity as a CIA operative. 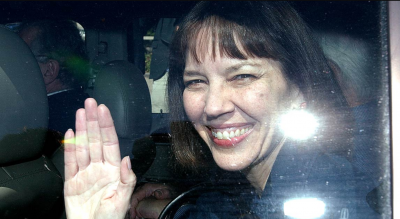 Is Fox News going to address the Judith Miller confession? Does Fox News have a statement for the media concerning the stunning confession made by Judith Miller? Does Fox News have a statement for the media pertaining to the latest news that involved Judith Miller exposing fraud committed by the DoJ? Miller's confession is very problematic for Fox News for the simple fact that this is big news. However, this big news story will bring un-welcome scrutiny on the "Defender of the First Amendment" monopoly Roger Ailes has developed for Fox News with Judith Miller. Ouch, that's gotta hurt when you're rendered speechless to defend your First Amendment defender. Will Fox News continue to shield Judith Miller, or will they adhere to their responsibilities as a News organization? Can Judith Miller survive another credibility exam?